exchanging goods and services, gaining value from excess capacity or inventory, and attracting new customers through Dallas-based Idearc Media LLC�s (IDARQ.PK) SuperTradeExchange. The SuperTradeExchange program, available for Idearc Media clients, works like a barter system, but instead of trading one-to-one, network members can trade their excess inventory or capacity for SuperBucks. These can then be used to purchase products and services from any other member in SuperTradeExchange (STE). In March, Idearc Media introduced SuperTradeExchange and by the second quarter of 2009 it will be in major cities including Boston, New York, Los Angeles and Tampa. 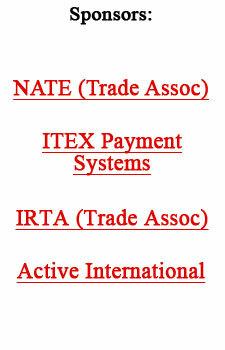 Idearc Media expects STE to become the largest national marketplace for cashless business transactions by 2010. Idearc Media�s STE platform is powered by ITEX Corporation (OTCBB:ITEX), a proven leader in developing and managing a successful cashless business transaction platform. Through this exclusive relationship, participating Idearc Media clients can immediately trade with more than 24,000 businesses that are current network businesses. Bob, a contractor, does a job for another member that earns him $350 in SuperBucks. Bob can then use (some or all of) his $350 in SuperBucks to purchase products or services through any other member of STE, like a florist, printer, hotel or retailer. This system allows Idearc Media clients to save cash to pay for other things, like rent, utilities or taxes � things not available through the STE. For additional information call 866-988-TRADE, or visit SuperTradeExchange.com.